Storage unit is a rented space on a short-term basis. Whether you are moving locally or to another country you may need a storage service for the items which cannot be transferred to your new home at the moment. If you are renting a short-term housing in another city or country, there is no need to move everything you have there. Find a suitable solution instead and consider storing your household items. Also, it might be a viable solution if your new home is not ready on a moving day. A proper storage unit will ensure both your peace of mind and security of your goods. Choosing between an indoor and outdoor storage unit happen to be difficult sometimes, especially if you are not well-informed of the options you have. If you are uncertain as to the type of storage unit you should rent, keep in mind the following considerations. You will choose the storage unit according to the type of the items that are going to be stored. Household items, furniture, clothes, fragile items, appliances,… require an indoor storage facility, while vehicles, garden and recreation equipment can be kept in an outdoor storage unit. Storage facilities are available in a variety of sizes, so assess your items so that you can choose the facility of the proper size and conditions. Furthermore, check your insurance terms and conditions and make sure your items are insured while at a storage area. An indoor storage unit is situated inside the building and it is convenient for storing clothes, toys, household appliances, furniture, documentation, fragile items, artwork,… The advantage of this type of storage is that it is less likely to get affected by weather conditions and temperature variations. Most of the indoor units are climate-controlled, provide high protection from water or fire damage. Nevertheless, your items should be properly packed and secured. These facilities usually contain several floors, and as a result there is a large elevator that can hold your items. 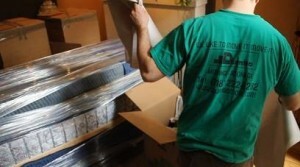 Another benefit of an indoor storage area is that it is more resistant to pests and dust. Most of them are monitored 24/7, equipped with alarms and protected by guards, so you can rest assured that your belongings are safe all the time. As a result, you can expect to pay more for this kind of service. Also, bare in mind that some indoor storage units don’t allow 24/7 access to your goods and in some cases you have to schedule your visit in advance. An outdoor storage unit is a secured place for your car, garden or construction equipment, trailers, trucks, motorcycles, campers…This type of storage has a direct access even by car. Even if you choose a covered outdoor facility, protect your belongings properly just in case. Use a vehicle cover or any other protective material to keep your belongings safe while in storage. Outdoor units usually have the drive-up access, which makes loading and unloading much easier. Also, you are likely to pay less for this kind of service. Now that you are aware of the difference between these two services, you can choose one that suits your needs. Whether you are looking for an indoor or outdoor storage unit take into account the following factors: high quality security features and unlimited access to your belongings. Search all your options carefully and find a suitable storage which is situated close to your new home. The storage option is especially convenient if you are downsizing, but still don’t want to give some of your treasured items away. In case you are moving with a reputable NYC moving company, they will lead your through this process professionally and provide moving-related instructions and tips. Choosing storage – what to pay attention to?